Omnibus Multidiscipline Engineering Services (OMES) II Win Announcement – Sierra Lobo, Inc.
NASA has awarded the Omnibus Multidiscipline Engineering Services (OMES) II contract to Science Applications International Corporation (SAIC) of McLean, Virginia, to support the Applied Engineering and Technology Directorate, located at NASA’s Goddard Space Flight Center in Greenbelt, Maryland. Sierra Lobo is a major subcontractor to SAIC on this contract. The OMES II contract will provide engineering services for the study, design, systems engineering, development, fabrication, integration, testing, verification and operations of spaceflight, airborne, and ground system hardware and software, including development and validation of new technologies to enable future space and science missions. 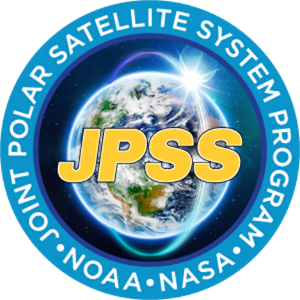 Major program customers of OMES II at Goddard Space Flight Center include the Joint Polar Satellite System (JPSS) and the Satellite Servicing Projects Division (SSPD). The OMES II contract is a five-year, cost-plus fixed-fee task order contract with an approximate $620M total orders value. Sierra Lobo will have task orders for personnel to work on-site at Goddard imbedded with the customer team as well as potential off-site work at TDEC and other Sierra Lobo facilities. OMES II is the second contract Sierra Lobo has supported for Goddard’s Applied Engineering and Technology Directorate, our current Environmental Test and Integration Services (ETIS) II contract is with the same customer.